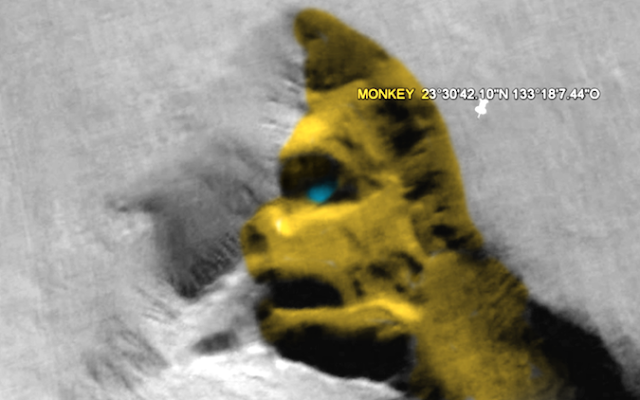 UFO SIGHTINGS DAILY: Lion and Monkey Faces Found On Mars, In Google Map, Oct 2015, Video, UFO Sighting News. Lion and Monkey Faces Found On Mars, In Google Map, Oct 2015, Video, UFO Sighting News. 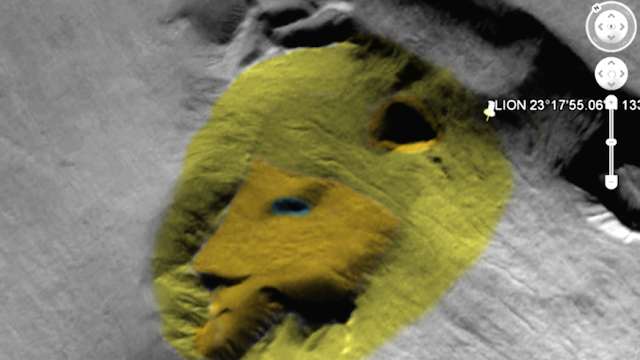 I love how others are finding the faces on Mars. This is magnificent. These two faces were found by Sandra Elena Andrade of Youtube. I do think I see a resemblance to a monkey and a lion. The monkey creature seems to have an upper ear or horn, its hard to tell. Oh, and by the way, there was a report in 2011 by a Russia aircraft tower that they recorded a UFO and tried to communicate to it, but the radio response came back sounding like large cats trying to talk. A cat species does exist. The head of a lion and a monkey made rock from Mars is one of the most interesting findings of the investigator MARCELO IRAZUSTA. The descubriiento was conducted at NASA images of the implementation of Google Mars. The lion's head is at coordinate 23 ° 19'34.09 "N 133 ° 32'24.37" W. You can see with great clarity his eyes, ears, hair, nose and mouth along with his front paws. His head reaches 16 km. of length. Monkey head has a length of 7.8 km. The coordinates for him are 23 ° 28'10.91 "N 133 ° 23'26.66" W. Your eyes, nose, mouth, hair and ear are observed. The similarity of the two pictures with lion and monkey in the video is impressive.